What Does Spoilage Insurance Cover? If you own a restaurant, bar, nightclub, or other establishment that sells food or drink, you have probably heard of spoilage insurance. Spoilage coverage is a type of restaurant insurance and bar insurance add-on that reimburses business owners in the event of lost or contaminated perishable goods. This type of insurance can come in handy if your fridge or freezer break down unexpectedly or if your power goes out and you do not have a backup generator. Learn more about spoilage insurance, what it covers, and why you should talk to an insurance broker about adding it to your current bar insurance or restaurant insurance policy. What Exactly Is Spoilage Insurance? Suppose you showed up at work one day only to find that your refrigerator had conked out during the night. You open it up and hundreds of dollars’ worth of food is spoiled and must be thrown away. If you did not have spoilage insurance, you would have to replace the food with money from your own pocket. However, if you had spoilage insurance coverage as an add-on to your bar insurance or restaurant insurance policy, you could get reimbursed for the cost of replacing all of the contaminated food and products. Spoilage insurance does much more than cover the costs of spoiled food. It can also protect your business against serious and costly lawsuits. What would happen if you made the mistake of serving your customers food from a fridge that broke down the night before? While you may think that the food is still good, there is always a risk that your serving your customers spoiled food containing dangerous bacteria. Food poisoning is a major liability risk for your business. With spoilage insurance coverage, you do not have to feel bad about throwing away a fridge full of spoiled food as you will receive reimbursement for fresh replacement food. 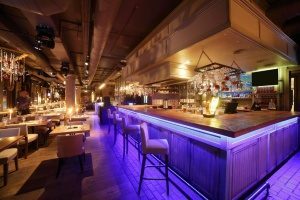 It is important to understand that spoilage insurance is an endorsement for your bar insurance or restaurant insurance policy, meaning its main function is to replace any property damaged by covered events. However, unlike other types of property damage that cover a broader range of damages, spoilage insurance applies only to “perishable stock” that is located at the property in which the insurance covers. So what exactly is considered perishable stock? Perishable stock is any item that must be maintained under controlled conditions to maintain preservation. The stock must also be susceptible to damage or loss if those conditions changed. While most people think of food when referring to spoilage coverage, food is not the only thing covered. For example, spoilage insurance can also cover fresh flowers at a flower shop, cigars at a smoke shop, or blood from a blood bank. There are two main events that could occur that would make a food or product unusable. First, spoilage coverage will typically cover food that becomes spoiled or contaminated when cooling or heating equipment fails. It may also cover food or products that become contaminated or unusable due to a power outage, causing your heating or cooling system to shut down. There are also certain circumstances that are not covered by spoilage insurance. This generally includes any losses caused by deactivating the electrical power, disconnecting the refrigeration system from the power source, or breaking glass that is a crucial component of a refrigeration unit. Losses may also not be covered if the utility company is unable to provide your business with sufficient power due to a governmental order or fuel shortage, or if the power source is unable to provide sufficient power. 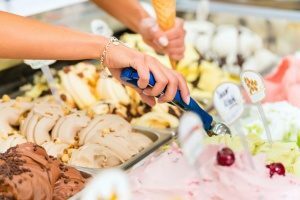 What Types of Businesses Need Spoilage Insurance? All types of establishments that serve food or drink can benefit from spoilage insurance. This includes bakeries, ice cream parlors, butcher shops, yogurt shops, food trucks, sandwich shops, salad bars, specialty cheese shops, concession vendors, and wineries. Other types of businesses may also be at risk for contamination and loss and could benefit from spoilage insurance, such as fruit and vegetable retailers, grocery and convenience stores, food processing plants, florists and greenhouses, tropical fish stores, pharmaceutical operations, cold storage warehouses, and some laboratories. If you sell any type of perishable product, your business can likely be covered by spoilage insurance. How Can Product Spoilage Be Prevented? While it is not always possible to prevent product contamination or spoilage, there are some prevention tips you can follow to reduce your risk of loss. Make sure that employees wash their hands, utensils, and cutting services before and after handling any type of food. Also provide training regarding cross contamination in the kitchen. For example, you want to teach your employees that you should never cut veggies on a surface that was used to chop up chicken without first properly cleaning the surface as this can result in salmonella poisoning. Pay close attention to your business’ food temperature standards to help minimize your risk of bacteria-related illnesses. You will also want to familiarize yourself with local, state, and federal food control regulations to ensure that you are meeting all requirements pertaining to food safety. Before accepting any deliveries to your kitchen, take the time to thoroughly inspect the food for freshness, especially produce. You will also want to make periodic checks in the kitchen to ensure that your employees are handling food safely and using the appropriate temperature when cooking, storing, or reheating food. Not sure if spoilage insurance is right for your business? Talk to a qualified insurance broker. Insurance brokers do not work for the insurance companies, but rather act as a middleman between insurance companies and their clients. As an insurance broker works on the behalf of the client, you can get peace of mind knowing that you are receiving coverage that will truly benefit and protect your business. It can be even more helpful to find an insurance broker who specializes in spoilage insurance coverage. To learn more about spoilage coverage or to inquire about gaining coverage, contact an insurance broker in your area. Previous Post: « Does My Bar Need Liquor Liability Insurance?